Here is the gritty, powerful story of Thomas Sowell's life-long education in the school of hard knocks, as the journey took him from Harlem to the Marines, the Ivy League, and a career as a controversial writer, teacher, and economist in government and private industry. It is also the story of the dramatically changing times in which this personal odyssey took place. 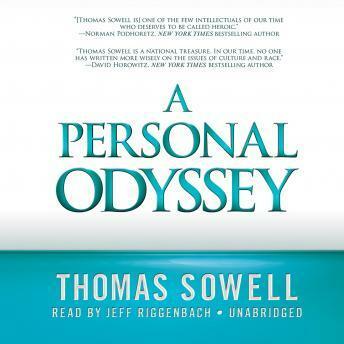 The vignettes of the people and places that made an impression on Thomas Sowell at various stages of his life range from the poor and powerless to the mighty and the wealthy, from a home for homeless boys to the White House, as well as ranging across the United States and around the world. It also includes Sowell's startling discovery of his own origins during his teenage years. More than a story of the life of Sowell himself, this is also about the people who gave him their help, their support, and their loyalty, as well as those who demonized him and knifed him in the back. It is a study not just of one life but also of life in general, with all its exhilaration and pain of constant striving and deserved success.